This is another photo that I manged to capture up at Lancelin last weekend. 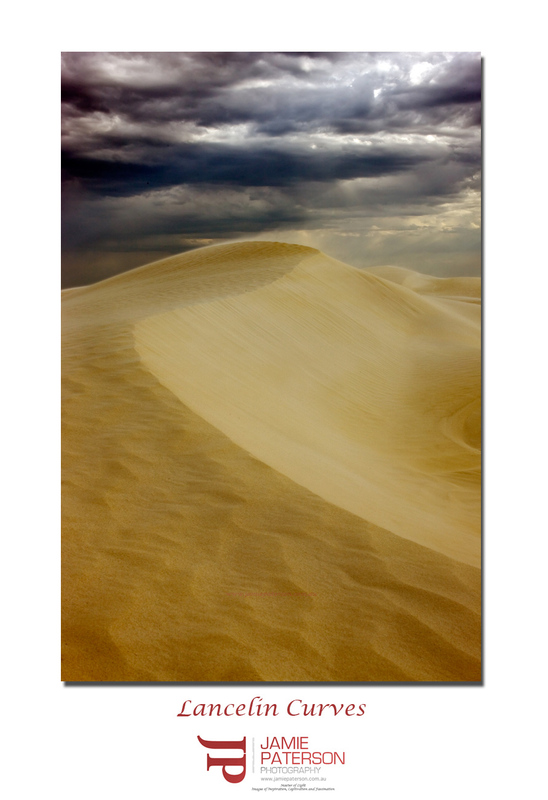 As I said last weekend Lancelin with all its sand dunes is a landscape photographers dream. I was going to head back up this weekend but with the lack of clouds I didn’t think it was a great idea. I think this week I’ll be hitting the Perth beaches again like Trigg and Cottesloe to see what I can up with. Did anyone get out of Perth this weekend and get some good photos? Thanks for stopping by everyone. All comments are appreciated. This entry was posted in Australian Landscapes, lancelin and tagged australia, Australian Landscapes, Australian Seascapes, cottesloe, image, Jamie Paterson, landscape, outback, sunset, western australia. Thanks for the dedication Jamie, very much appreciated and really cool idea to do a video blog instead of just text. this is even better than the other version – nice simple S curve, less distrations than in the other shot! Awesome work. Can I nitpick? I have to say something. Walk 1 meter to the right so the S-curve hits the lower right corner and you cut out that liddle dark patch mid right. It is nitpicking. I am pedantic It is an awesome shot. I think this could make a nice b/w as well, think you could use it both in colour and bw! I think the video makes it a little more personal don’t you? Thanks for the comment it is all positive feedback which is great. The black and white of this and the previous ones are in my opinion amazing. I love them but Melissa (wife) didn’t so I put up the colour ones instead. The image has come up a treat Jamie. The composition has been simplified. Nice little video entry too mate. I will definitely take a peak. Your photos are amazing and I love seeing them. Thanks for commenting. Great image Jamie. I would be really proud to have some of these in my portfolio. Thanks for saying that, its actually quite a touching comment. Certainly made my day. As always thank you for posting. Its good having you around. Great picture mate, are u going on Friday to Marks? I can’t wait to finally meet everyone! Yes I will be going to Mark’s on Friday if he can cough up my celebrity fee! Thanks for commenting mate and well done in The West competition. Awesome shot Jamie, very nice mate. I wish I was going to Marks on friday as well huh, but as Im over on the coast with the most, I guess Ill just have to put up with him in PNG instead…. Thank you very much for adding me to your blog. Friday night should be fun but as you said you’ll get to catch up with him onboard. Lucky bugger! I agree I like this shot a lot better as well. Thank you for taking the time to comment as always. Hey Jamie, Nice photo here I like the composition, I went up to Lancelin the night before Marks, but didnt get any good shots. I will have to go back another day, are these taken on the first big dune or out the back? Thanks for stopping by. These photos were taken about 300M away from the first big dune. I actually like the back of the first big dune but most of the bikes there throw too much sand up in the air. You’ve got some great photos on your blog as well.